I have never been a stranger to grief. In 1993 I lost my father and thanks to friends in Florida, I found the joys in life again. I lived life to the fullest most of the time. I did have my down days but I was able to pull myself out of it. 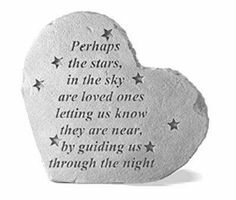 However, in October 2014, my world came crashing down around me when Mom passed away. I became bitter and angry with God, the doctors and her. I was mad at God because he let her die and the doctors because they couldn’t save her. I was furious at her because she chose to let herself die. Part of me said she was at peace with Dad but my heart and head only knew anger and heartache. To understand my journey from anger to peace, you will need to the last two months of her life. In August she announced that she had been to her Doctor and was waiting for the results. Her appointment came and I went with her. I wanted to hear the results for myself. My heart sank as the doctor spoke about uterine and ovarian growths and certain blood levels. I knew instantly that we were fighting cancer. I just wasn’t aware how bad it was. On Sept 6th Mom, accompanied by her children, went to the Gynecologic Oncology expert in Morristown. Our worst fears were realized and a plan was put into place for a September 26th Surgery. I cried and told them that it was going to be too late but since Mom hadn’t been to any Doctor in years, she needed tests to make sure she was healthy enough for surgery. Jenny, our nurse and God-sent scheduler, worked with us to get everything we needed to get done. Mom and I ran all over the countryside for the next two weeks getting this and that done. She was a trooper trying to hide how bad it was and how much pain she was in. I was positive that we were going to beat this. Sept 18th was our last hurdle before surgery. She was scheduled for an upper and lower GI to see if there were any blockages or abnormalities the medical team needed to be aware of during her surgery. It was a medical center about 15 minutes from the hospital. My heart sank when 30 minutes after she went in the nurse came out and asked me to come inside. What was going on? Was she done already? Mom and I were informed that her oxygen levels were too low and they wouldn’t put her under at the facility. They suggested taking her to the hospital where, if something were to happen, there was the right equipment and specialists who could jump in to help. The nurse arrange for EMS to pick up Mom and take her to Morristown Medical Hospital. I called my brother and Dave, my then-fiancé, to let them know of the changes in the plan. I wait quietly with Mom for the ambulance to arrive and then I jumped in my car to carefully drive over to the hospital. The ER was waiting for her and started running tests as we waited for the GI test to be done. However after two weeks had past, I learned the cancer had spread everywhere. A few days later, Mom gave in to her fate and past away. It was only 24 hours earlier that I watched her and her Doctor decide that she was done fighting. Thanks to a crazy friend and Dave, I was able to stay with her thru out the night so I was there when she took her last breath. I hated everyone that day. I looked at people to blame. The easiest three were God, the medical team and Mom. I spent a lot of time recounting what had happened to see where we went wrong. That was the beginning of the journey. 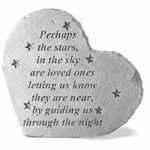 My Mom’s final wish to me was to not mourn her but to celebrate her. In public where people could see, I did just that. However, when I retreated behind closed doors, I was angry and bitter. Only one person witnessed this, Dave. He knew that I wasn’t doing well and suggested I reach out to people. I would snap that I was fine and handling it in my own way. I fought him for a year and a half before I realized I wasn’t dealing with it and I needed to seek help. I turned to one person I was ticked at, God. I started asking for my heart to find peace. I told myself that the medical teams did everything they could for her. I had to accept that she wasn’t responsible. No one was really responsible for Mom’s death. It just happened. I bought an interactive book about grief so that I could privately work through it. I began to journal about my feelings and memories. Slowly the anger and bitterness melted away. I started finding small bits of joy in her memory that I had lost. 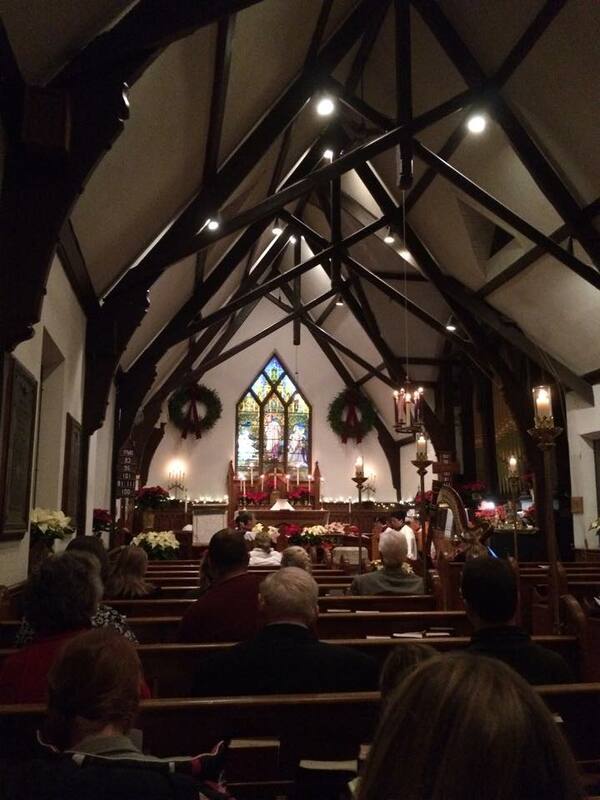 It wasn’t until Christmas Eve service when I really realized how far I had come. I struggled as to whether or not I wanted to go to the service. Was I just doing it because it was what we always did or was I looking for something else? I went to see what would happen. If I got nothing out of the service then I didn’t have to go back next year. Surrounded by the ghosts of my past (after attending the church for 42 year, there were a few), I walked into the church. I didn’t tear up from grief but saw the magical way the church looked at this time of the year. It was dressed with evergreens and candle as well as adorned with the nativity, which Barbara had purchased while traveling to Germany. Then the organ came to life and it filled the air with a kaleidoscope of sound. Halfway thru the service I listened as Father Tim spoke about finding wonder in this crazy world. I started to get teary eyed and wondered if this was going to be the point where I cry. I didn’t but still realized I was getting emotional. Following communion came the one song I dreaded singing for the last 23 years, Silent Night. It is the one song that took me back to my childhood when my parents would constantly sing it so I would know it for the church pageant. I always cried during this song. There were years I cried so hard I couldn’t get the words out. However, this year was different. Something changed within me. I found the joy in the song and sang the whole song loudly and slightly off-key with a smile on my face. I was surprised and proud of myself that I was smiling and not crying! The song ended and my heart felt free. I felt at peace. I will miss my parents and there will be moments when I wished they were here, but my heart and soul accepted their fate and granted me peace to start the New Year! 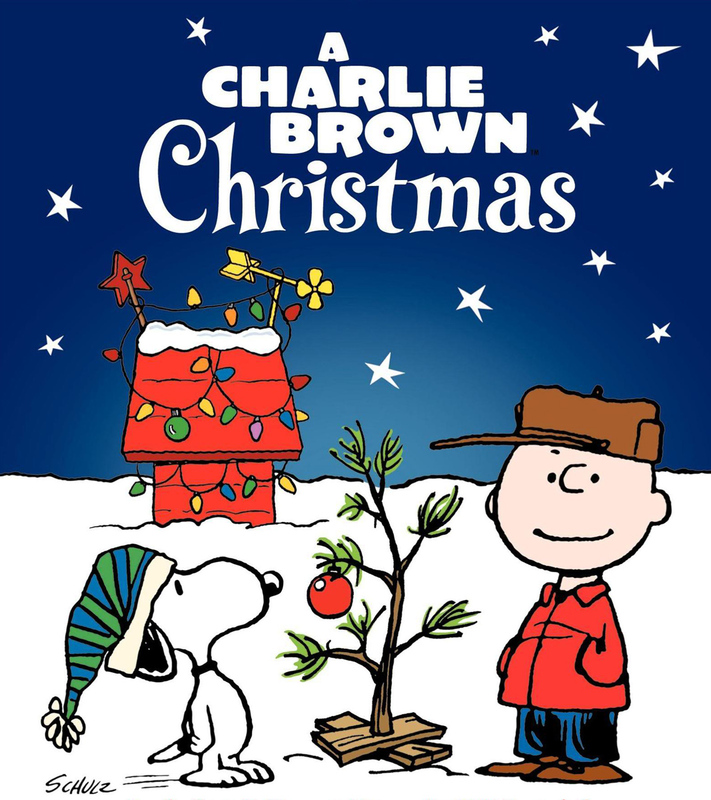 Growing up, one of the best parts about Christmastime was watching my favorite Christmas movies. I knew they were coming on the TV right after Thanksgiving and I would watch the TV guide to make sure I didn’t miss them. I am sure you would agree there are a lot of movies that could be on the list, however, to keep this post short and sweet I narrowed my list down to my Top Five Christmas Movies. Although there have been numerous versions of this story created before and after; my favorite version is the one staring George C. Scott. I thought he was the perfect Scrooge. This version also struck me because there weren’t a lot of special effects which added to the crude representation of each character, especially the three visiting spirits. 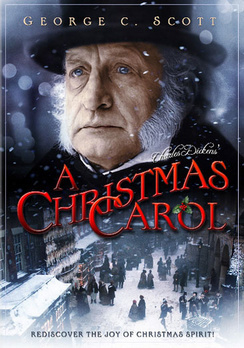 Can you forget the scene when Christmas Present shows Scrooge the children names Ignorance and Want. No great effects, yet the scene however I found it to have a tremendous impact. As I got older, I realized why these two “children” were to be avoided. In this movie I remember watching Santa give up on Christmas. Then Mrs. Clause and a few elves worked together to bring back Christmas cheer to Santa in hopes that he would want to bring joy and toys to the children around the world. My favorite characters in this animation where the Mizer Brothers who argue about the temperature. I always sang along to this song. I know that I always sided with Heat Mizer. Even back then I preferred the heat…lol. I lived for this Peanut Gang special every year. I think it was just a classic that had a great message and happy ending. It could have also been the scene where Snoopy gracefully skated around the pond. 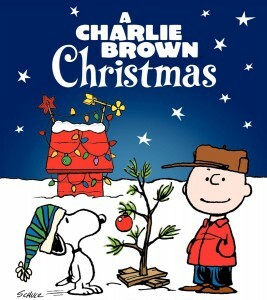 I always felt bad for the Charlie Brown’s Christmas Tree. It was scraggly and no one wanted it. In the end, the gang accepted it and showed us the true meaning of Christmas. It wasn’t about the imperfect tree. It wasn’t about gifts that the children wished for. It was a celebration of a story about hope and peace. 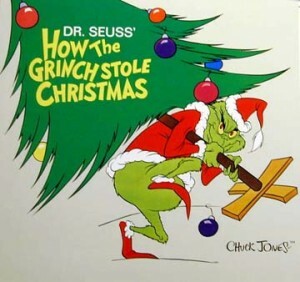 One of the greatest Christmas stories, in my opinion. Loved the message of the misfits becoming victorious by saving the day. 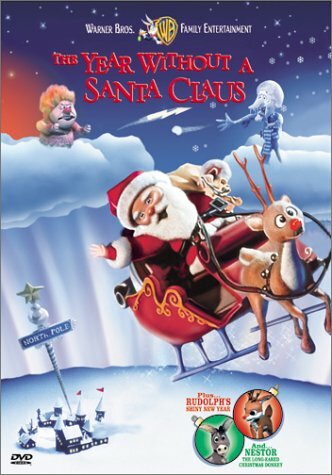 I sang along with this movie every year. Who didn’t root for the underdogs to save the day (and of course, they did). I know Rudolph was the main character but I still fell in love with the misfit toys especially Charlie-in-the-box. Try not to sing, “You’re a mean one, Mr. Grinch. You really are a heel…” I know that I couldn’t and still can’t help myself when this song comes on. It was an iconic movie that I grew up with. Although there was a non-animated version created starring Jim Carrey; my heart still belongs to the original animation and musical scoring. 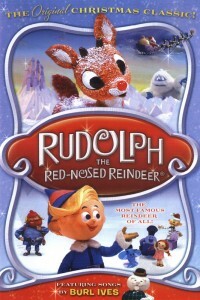 Did I miss one of your favorite Christmas/Holiday movies? If so, please share your favorite Holiday/Christmas movies in the comment section below. Before – What are you asking for? After – What did you get? Is gift giving a great way to show you care? Yes, as they say, “it’s better to give than receive”, but it’s not the only thing you can give. Make memories with your friends and family as memories can be taken with them for the rest of their lives. It can be as simple as sharing or starting a Holiday tradition like Elf on the Shelf, a family dinner, volunteering at a food bank or caroling somewhere. It doesn’t have to elaborate or expensive, just bring joy and warmth to the hearts of everyone involved. Who knows maybe the traditions you start or share will be passed down for generations to come. 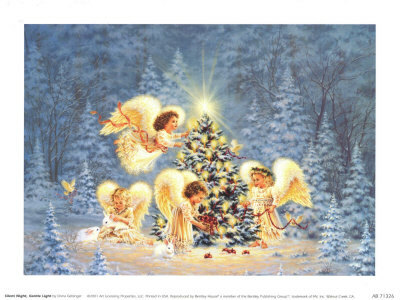 One of my fondest Christmas memories is of a particular song – Silent night.I have been singing it my entire life. In 1974 my family joined St. John’s Episcopal Church just shy of my second birthday. As part of our first Christmas there, I was slated to play an angel in the Annual Christmas Pageant. The Angels sang the first verse of Silent Night up the aisle. So that I would know the song, my parents sang it all over the place. Over the years, my Mom would remind me of how I learned that particular song and why I have a fondness for that carol. Singing it today still brings warmth to my heart and a tear to my eyes because I know that it was my parents who taught me to sing Silent Night. No matter what you celebrate this time of the year, may it be about the people you love. Always remember: things get dusty, toys break and other stuff is forgotten but memories will live you for the rest of your life!